Comparing the church to a ‘big tent’ has become an interesting conversation piece. Big tent theology teaches that God is calling the church to open her arms wider than ever before. Expanding the tent calls for a diversity of thought, the inclusion of varying stances on nonessential issues, and erasing lines that could potentially divide. Jesus died for all and therefore all are welcome to have a seat at the table. “Unity in essentials, diversity in non-essentials” would probably be a good way to frame the discussion. At face value, this is a virtuous notion. We all want to make room for more people at the table. Great leaders aspire to build bridges, not walls. However, the ‘big tent’ expression means different things to different people, which makes it worthy of further consideration. Many would say that the ancient creeds (e.g. Apostles, Nicene) offer a basis concerning the essentials of the Christian faith. I would agree that the creeds provide everything necessary to affirm faith in Jesus Christ. However, the creeds lack in areas of discipleship and orthopraxy. In other words, they tell us ‘what’ to believe, but don’t teach us ‘how’ to practice what we believe. Thus, a more robust understanding of timeless biblical principles must also be included in the big tent conversation. Certainly, it’s a healthy move to navigate away from the legalism of years past. Distancing ourselves from fundamentalism is a shift in the right direction. It isn’t beneficial to associate holiness doctrine primarily with rule keeping. We don’t come to Jesus by following rules, nor do we grow in faith by adhering to specific codes of conduct. Legalism has wounded many people over the years and has proven to be obstructive to the process of making disciples. We come to Christ by grace through faith (Eph. 2). He invites, we accept. Once we enter a relationship with Jesus we become a disciple. When we become a disciple our behavior begins to change. If someone comes to faith in Christ, but his or her behavior is never altered then something’s missing. God never leaves people as He finds them. God not only saves and sanctifies, He also delivers. That’s not saying that Christians don’t make mistakes, but it does mean they don’t have to yield to ongoing habitual sin. Spiritual victory is available to anyone who calls on the name of Jesus. This is what it means to walk by faith. This is the essence of sanctification. It’s a life so turned toward God that one is constantly aware of their need for repentance. The big tent conversation often leads to distinguishing between a ‘centered set’ and a ‘bounded set.’ The bounded set is fixed and includes boundaries. The idea is that if one believes and behaves the right way then he or she is a Christian, and those who don’t aren’t. The centered set, on the other hand, is dynamic. 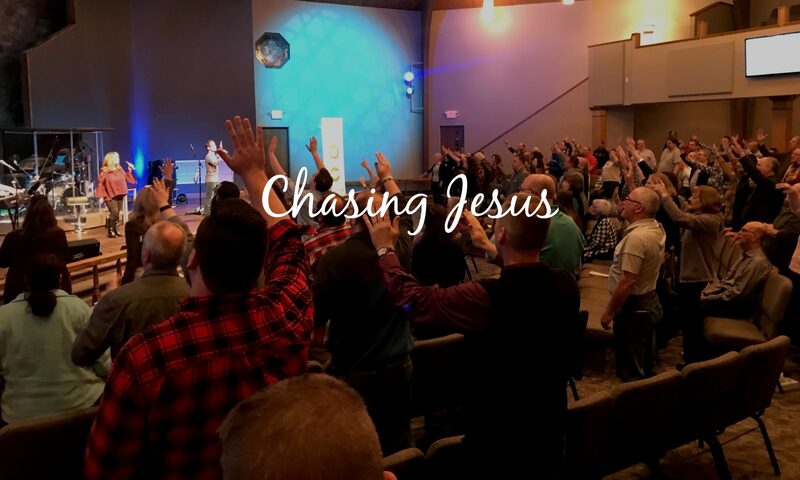 It focuses on constantly moving toward Jesus with no boundaries. Although I think these illustrations reveal great insight, I don’t think either is suitable for fully understanding the mission, nature, and responsibility of the church. In and of itself, the notion of a ‘centered set’ is lacking. To emphasize the goal as moving toward Jesus is meaningless without defining the purpose of the gospel. Once we start defining terms and ideas, by default, we construct boundaries. Thus, it becomes a catch twenty-two. The truth is that all centered sets have boundaries and all bounded sets have a center. In a recent conversation with one of our General Superintendents, he indicated that he didn’t particularly like the ‘big tent’ imagery. Instead, he illustrated with the idea of a ‘tetherball.’ With a tetherball the rope is far-reaching, yet it’s always connected to the center. The tetherball stretches high and low and reaches far and wide, but it’s always anchored. It has boundaries, yet it’s always centered. Personally, I like the idea of a ‘doorway.’ Faith is the hinge that opens the door. Disbelief causes the door to remain closed. The church never locks the door and never turns anyone away. However, we are charged with upholding the orthodox teachings that reveal Jesus as the only entrance. Everyone is welcome, but no one can tear the door off the hinges and force their way inside. In the Church of the Nazarene, we have a family business meeting every four years. It’s called General Assembly. At this meeting, we celebrate what God is doing and make decisions about the most effective ways to move forward together, on mission. As the Holy Spirit leads we often amend our stances on social issues (i.e. dancing, swimming, movies, etc.). However, we never weaken our views as they pertain to foundational issues, such as biblical doctrine. Example: Article IV in our Articles of Faith states that we believe in the inspiration and authority of Holy Scripture. This position does not change. I liken General Assembly to meetings within my own household. We’ve had family meetings in years past to discuss the dynamics of our relationships. As my son got older, he and I didn’t always see eye-to-eye; we would discuss our differences often. My wife and I realized that our relationships with our children had to change with time. The older they become the more decisions they got to help make. How we interacted with them as toddlers was not the same way we interacted with them as teenagers. The foundational values of our household never changed, but how we interacted relationally did. Relational shifts are needed for social structures to thrive. Hypothetically, if after a family meeting my son decided to influence his sisters to defy his mother and me, we would have a serious problem. If he started tearing down the moral foundation of our home because he felt we were wrong on an issue, we would have to part ways. I would still love him, but I would move him out of the house. I would do my very best to help him land on his feet. He would always be welcome to return. However, he wouldn’t be able to stay unless he could agree to abide in harmony with the family. So, we can illustrate with a big tent, a centered set, a tetherball, a doorway, and many other things. It doesn’t matter what description we use as long as we understand that all are free to come. Beyond that, when the family meets and makes decisions about the best way to move forward together, then each of us has a responsibility. We can abide in peace, nurture the family, and help advance the mission, or we can move out. What we cannot do is tear the house down. Everyone is invited. Come one, come all. When someone decides to move in, let’s help him or her feel welcome. If they have a few bad days and decide to start ripping up the floor with a crowbar, let’s try to help them get back on track. However, if they are absolutely set on burning the house down, then we have no choice but to help them find somewhere else to live. There are too many lives at stake to allow anyone to hold people hostage, hijack the mission, or burn the place to the ground.